Does that date bring back any memories? Well, it should. It was the night the Brooklyn Nets lost an embarrassing game to the lowly Philadelphia 76ers, 121-120 in overtime. The loss dropped the Nets to a 9-17 record and to add to the misery, All-Star center Brook Lopez suffered a broken foot which would end his season. The Nets season appeared to be officially over with their best offensive player on the shelf for the remaining 56 games. Arguably, the lowest point in the early going of the season. It’s always darkest before the light, and when the morale among the organization and fan base was at a low, Jason Kidd found a way for the Nets to overcome this devastating setback. With the insertion of Shaun Livingston into the starting lineup and shifting Paul Pierce to power forward, the Nets changed the composition of their team. In doing so, they were able to salvage a once hopeless situation and achieve a 35-21 record without Lopez. Many in the sports world claimed that the Nets decision to play “small ball” was the solution to their early season struggles. 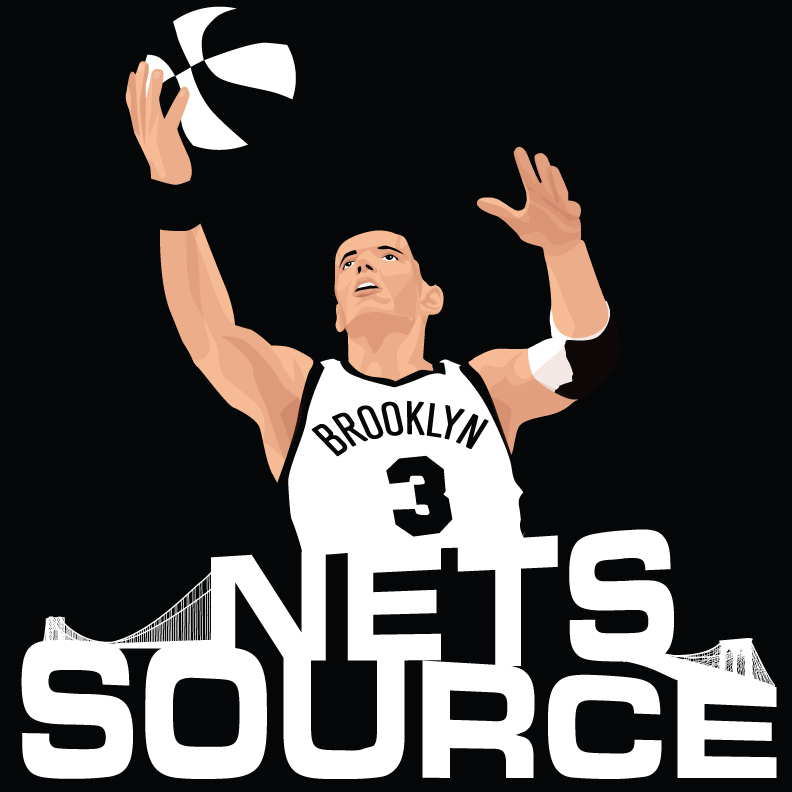 The term “small ball” is misleading because in actuality the Nets don’t play a quicker brand of basketball. Make no mistake; this isn’t 2002 all over again where Kidd is leading a fast break alongside Kerry Kittles, Kenyon Martin, and Richard Jefferson. 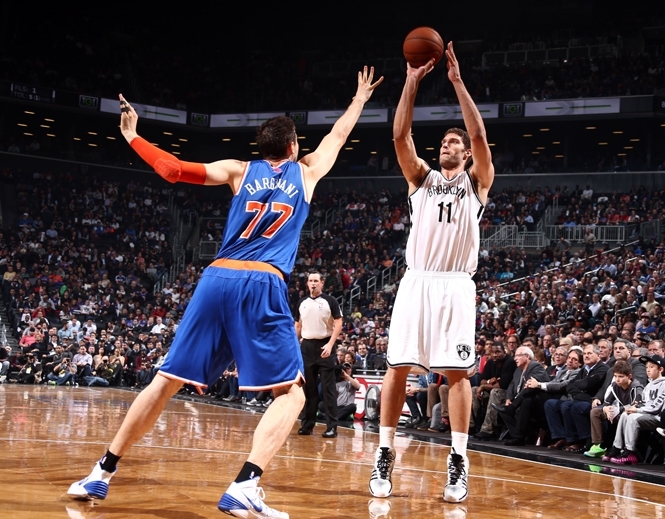 Even without Lopez, the Nets still play at a slower pace offensively. Deron Williams rarely pushes the ball and there is still a heavy usage of half court sets in which Joe Johnson or Pierce operate on the low block or elbow. It seems like the only time when the Nets get out and run is when Livingston or Andrei Kirilenko create a turnover leading to a fast break opportunity. With the team’s success since the New Year, many pundits and fans have insinuated that perhaps Lopez was part of the problem and the team would be better off without him. These are the people who state that if he can recover from his surgically repaired broken foot, Billy King should look to deal him in an effort to accumulate future assets. At the end of the day, if trading Lopez or any player for a lucrative package of future draft picks and young players presents itself, then you have to consider what’s best for the future of the team. However, to dump a former All-Star player with tremendous offensive ability for fifty cents on the dollar is foolish. 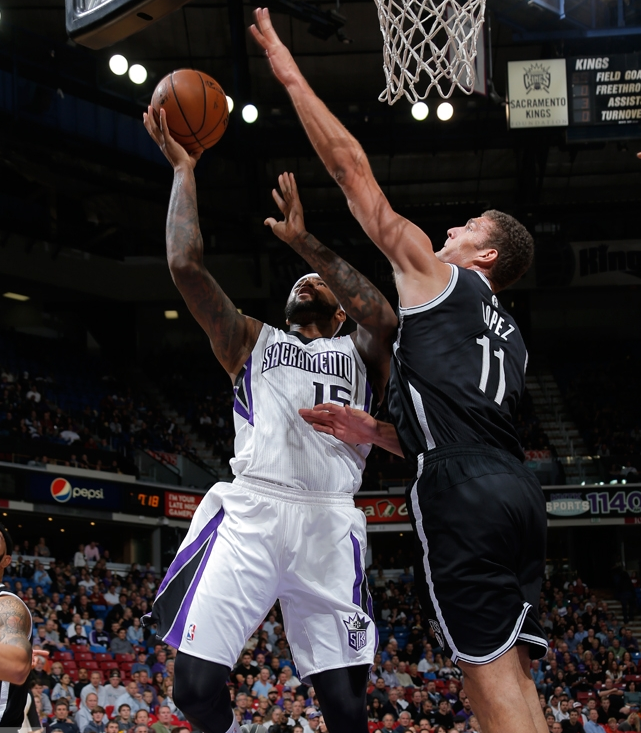 How many centers can score as effectively from near or far? Now I know what you’re all thinking – he slows down our pace, he’s a black hole, and our offense lacks creativity with him playing. As I mentioned earlier, this group doesn’t play with a torrid pace, and who says that all five players need to run the floor? Was Todd MacCulloch or Jason Collins a part of those Kidd-led fast breaks? Perhaps the reason why our offense lacked cohesiveness earlier this season was because an inexperienced coach wasn’t sure what the team’s identity was and throwing it down low to an effective, efficient scoring seven-footer was the easy thing to do. Now that Kidd has gained a season’s worth of experience, he should know how to properly integrate Lopez into this lineup. If you’ve been watching these playoffs, it is apparent that we’ve sorely lacked a presence in the post for offense and defense. I am not saying Lopez is an elite rim protector, but there’s no denying that he has improved drastically over the past few years and has become a respectable shot blocker. Does his rebounding still need to improve? Yes, but we already knew that! Many in the sports media have declared that the NBA has changed and that you don’t build around a center anymore. Although this is true, these playoffs are once again proving that the pace does slow down and scoring in the half-court is still essential. 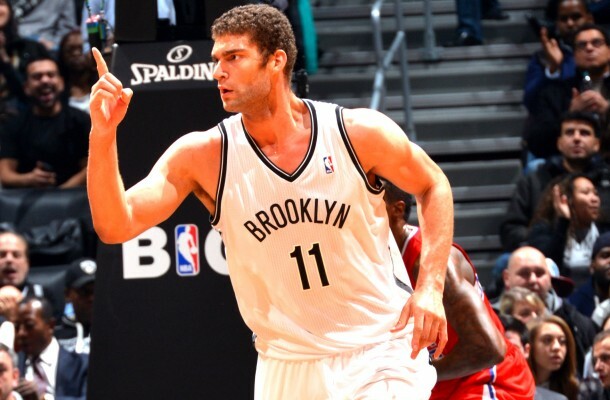 The Nets showed in Game 1 against Miami and in the Toronto series that they miss Lopez’s offensive prowess. When the outside shooting isn’t falling, efficient inside scoring is the perfect remedy. Unfortunately Andray Blatche isn’t consistent, Mason Plumlee is too limited, and Kevin Garnett seems more comfortable away from the rim. Wouldn’t this be a welcome addition to the Nets’ defense in this postseason? Moving ahead, Lopez shouldn’t be the focal point on offense but his skill set still complements players like Johnson well. Think about how he can dominate in the paint but also stretch the floor with his outside shooting. The key for him is to not hold onto to the ball too long and become better/quicker at passing out of the post. I trust that with his offensive creativity, Kidd will be able to devise a system that will maximize everyone’s strengths, including Lopez’s. At the end of the day, an accomplished 26 year old center who can score 20 points consistently is still a valuable asset. Actually, it is a luxury. He has always been a team guy, and even if the coaching staff designs fewer touches for him offensively, I don’t expect his ego to get in the way. It’s a shame that his injury occurred because I think playing alongside Garnett for an entire season would have improved many elements of his game. Lopez has become a forgotten man when the Nets turned around their season, but now that he is visible on the bench during these playoffs, we are reminded of what he can bring to this team. He is our homegrown player who suffered through the losing and finally got to taste success last year. He deserves to be a part of a winner. Just remember – you can’t spell Brooklyn without Brook.